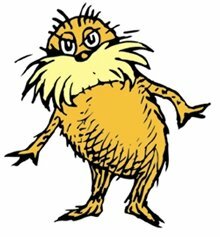 In anticipation of the new film, The Lorax, the American Chemistry Council has launched a site directed at all those kids who may have been energized by the movie’s environmental message. Plastics and the Lorax doesn’t try to overtly correct any anti-plastic feelings stirred by the film, aside from one quick round of cheerleading for plastics:. “A space age material that continues to find new uses…including uses that help protect the environment.” Instead, it tries to direct any newly-awakened eco-consciousness into a single activity: recycling. Let’s go back a minute to the original story. 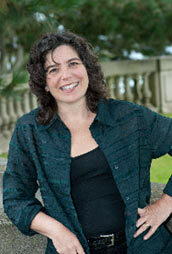 In the book, trouble started when the narrator, the Once-ler ( take note of that name!) started a factory devoted to the making of Thneeds –thingamajigs knitted from the tufts of Truffula trees. It wasn’t clear what a Thneed was, or who would ever want one. Until that, is the Once-ler plastered the town with the brilliant ad campaign “You need a Thneed.” Soon the factory was working round the clock, turning out more and more Thneeds and shipping them north, south, east and west. “I had to grow bigger, so bigger I got,” recalls the Once-ler. And he kept on “biggering” until he’d cut down every last Truffula tree and chased away every last Bar-ba-Loot, Swomee-Swan and Humming-fish and all that was left was a smog-ridden, fouled, devastated place. The story wasn’t just a conservationist call to arms; it was a critique of late-market capitalism, Karl Marx in iambic pentameter. But that larger message is definitely missing from the ACC’s translation. 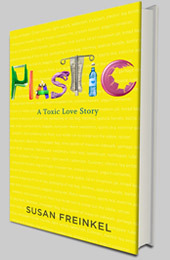 There is not a single mention on the “Plastics and the Lorax” site suggesting how kids might reuse a plastic bottle, or better still, skip one altogether by drinking from a reusable bottle. In the ACC’s lesson plan, there is no place for the concepts of reuse and reduce. Instead, it’s all about what old plastics can become: new bags and bottles, t-shirts, flower pots, picnic tables, decks and lumber. Such products may be a step up from Thneeds, but it’s still debatable whether they really are what we need. This entry was posted in Business of Plastics, Recycling. Bookmark the permalink. My apologies for originally attributing The Lorax movie to Disney — It was made by Illumination Entertainment and released by Universal Pictures. I’ve fixed the error and am reposting.